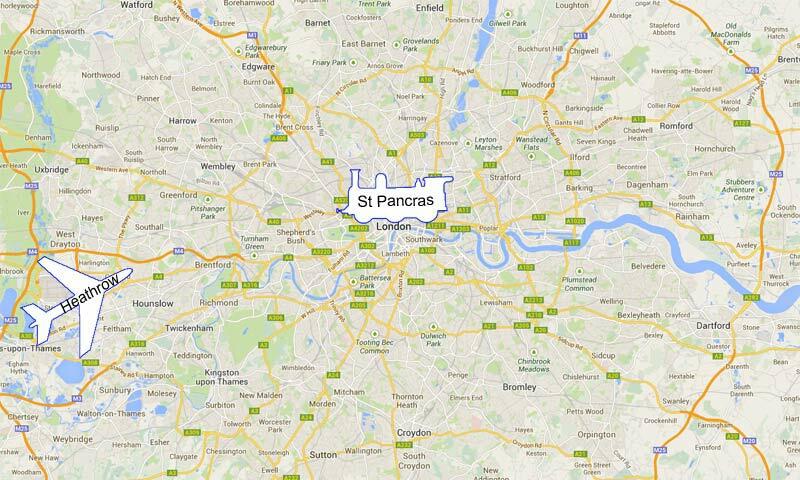 What is the quickest way to get from Central Paris to Central London? Unless you have a private jet, it is not flying! Europe’s railways offer comfort, value and, above all, convenience. So, why is train travel within Europe an excellent option? One major appeal of the railway is that you travel to and from the heart of the action. Airports are often well outside the cities they serve. For example, although the flight between Paris CDG and London Heathrow usually lasts around an hour, the airports are both around 25km from the centre of their respective cities. This requires either a car journey or a trip on public transport, which can be slow and irksome. The airports used by budget airlines are often even further away: London Gatwick, which is Easyjet’s home airport, is closer to Brighton than the centre of London. Meanwhile, the Eurostar from Paris Nord to London St Pancras takes 2:15 hrs. And from Brussels Midi to London St Pancras? 1:54 hrs. 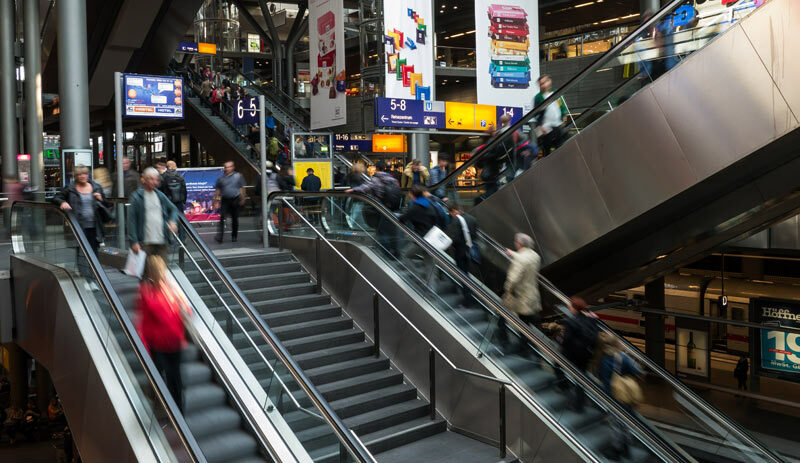 When you add together the time needed for transport to and from the airports, check-in and security, the train from city centre to city centre is significantly faster than flying. The same is often true for travelling within a country. Spain, for example, has invested heavily in its railways and the Alta Velocidad Española (AVE) connects most of the country’s major cities. There are 54 trains per day between Madrid and Barcelona, with the journey lasting 2:30hrs (tickets cost from €37.75). The same journey by bus would only be a little cheaper but would take at least three times as long. Flights, meanwhile, cost roughly the same as the AVE and last around 1:15hrs but require a train journey at each end to the city centre. With all of the changing, you don’t have time to focus on anything. In contrast, you can use your time on the AVE to work, read or explode sweets on Candy Crush. Road rage is a real thing. Air rage is increasingly common as air travel becomes decreasingly pleasant. But train rage? There is something inherently relaxing about train travel. Perhaps it is the changing scenery outside the window. Or the option of taking a break in the dining car. For some people it is the reassurance of being attached to the ground. For example, the 8 hour train journey from Freiburg to Berlin (from €79) takes you through the Black Forest and all the way across Germany. You can enjoy the views during the day or simply sleep on a night train as our staff did on a recent trip to Germany. If you are considering a duo-destination course, the train may well be the best way to get between those destinations. Airport security staff are, by necessity, a grumpy lot… why not leave them to it and take the train instead? If you book in advance, you can get some excellent international deals. For example, London to Paris return on the Eurostar starts at £69 (or €88). When you consider that the cheapest flights with Easyjet are around the same price, the train looks like excellent value. You can get from Zürich to Vienna in just under 8 hours, with advance tickets starting at €29 one-way. 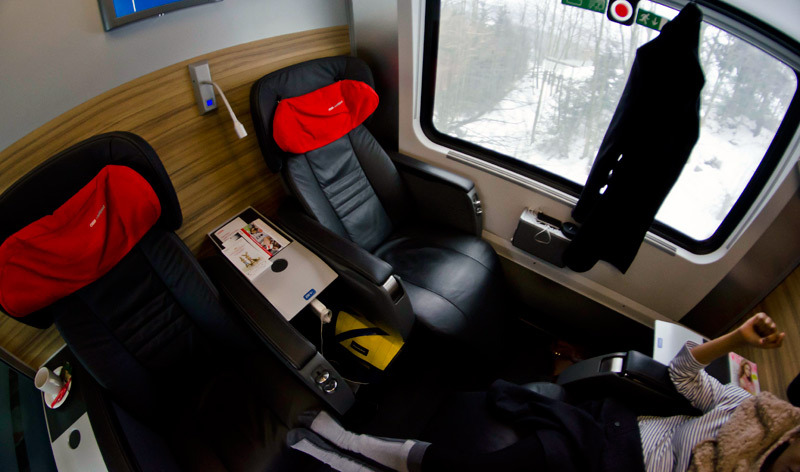 This is part of the ÖBB’s Railjet service, which goes all the way from Zürich to Budapest(starting at €40 one-way). The key is buying your tickets in advance – the two fares above are available in limited numbers under the ÖBB’s Sparschiene scheme. There are also some excellent deals once you have arrived in your destination. For example, Deutsche Bahn’s Schönes-Wochenende-Ticket (more info) costs €42 and allows travel on all of DB’s network for up to 5 persons travelling on the train together, on either Saturdays or Sundays (one day only) between midnight and 3am the following day. It’s an excellent way to explore Germany as a group. In Britain, you can often find exceptionally cheap train tickets if you book in advance. For example a ticket between London and Liverpool (or Manchester) one-way starts at £12.50 if you book early. Buying it on the day you travel, the same ticket would cost £75 or more. Because of Britain’s privatised trains, the system can be confusing, but thetrainline.com is usually a good place to search. The train isn’t always the cheapest option to travel internationally, especially with the growth of budget airlines, but you should definitely check the available offers before booking. There is a list of operators at the end of this article. Trains are more energy efficient than aeroplanes or cars. For example, CO2 emissions from air travel range from 0.24 kg CO2 per passenger mile for short flights to 0.18 kg CO2 per passenger mile for long flights. Short flights, such as those within Europe, are less efficient because of the high energy costs of take-off and landing (Concorde used to burn two tonnes of fuel just taxiing to the runway). On average, commuter rail and subway trains emit 0.16 kg of CO2 per passenger mile, and long distance trains emit 0.19 kg of CO2 per passenger mile. In Richard Linklater’s 1995 film Before Sunrise, a young American traveller (Ethan Hawke) gets chatting to his French neighbour (Julie Delpy) on a train through Austria. They quickly make the decision to get off and spend an unplanned evening together in Vienna. Two sequels and almost twenty years later, the couple are still going strong! 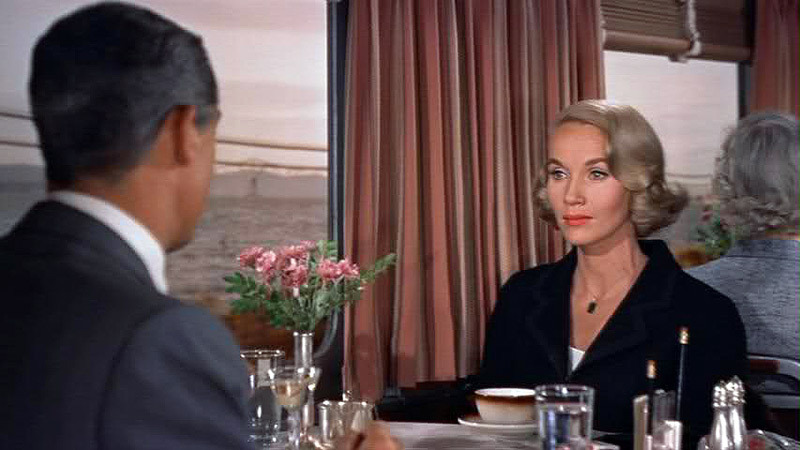 And then there was the memorable scene in Alfred Hitchcock’s North by Northwest where Cary Grant charms Eva Marie Saint in a dining car. There is something inherently social about a long train journey and the dining car is the place to go if you want to make friends. Alternatively, stick on your headphones and you will be left alone to enjoy the view! Have you travelled within Europe by train? How was the experience?